Be Quiet!, the market leader in PC power supplies in Germany for eleven consecutive years, presents the SFX L Power power supply. 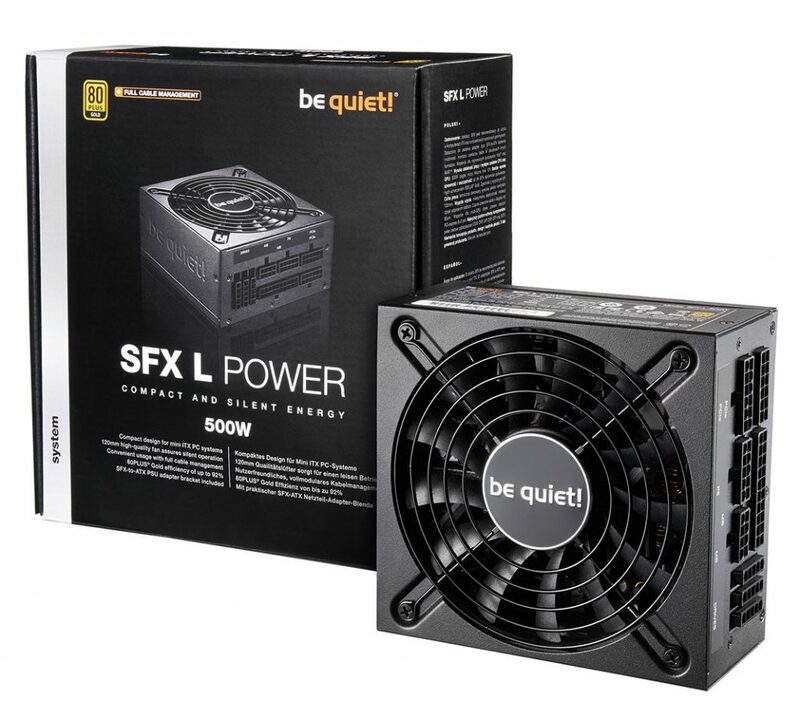 As powerful and compact PCs for multimedia and gaming are finding their way into living rooms, be quiet!’s SFX L Power was designed to meet the rising demand for high efficiency and silent cooling in small form factor computers. 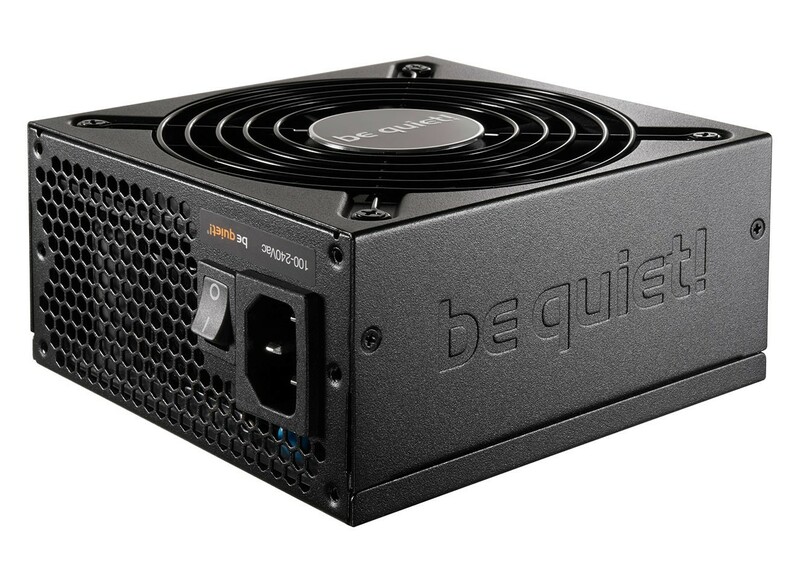 The new power supply series does not make the SFX Power 2 series obsolete, but SFX L Power is the highest performing alternative amongst be quiet!’s compact form factor PSUs. SFX form factor power supplies commonly use 80-millimeter fans that are required to rotate faster to equally perform like larger fans and produce more noise. Choosing the slightly longer SFX-L form factor enables be quiet! to install a silent, temperature-controlled 120-millimeter fan inside SFX L Power. The power supply still fits in most chassis and is ideal for powerful mini ITX systems, and small ATX systems thanks to the included ATX adapter bracket. With SFX L Power, users can expect silent operation to power their compact gaming or multimedia systems. SFX L Power’s “LLC + SR + DC/DC” topology ensures stable power at high efficiency of up to 92% with 80PLUS Gold certification and Japanese capacitors to increase longevity. For maximum reliability, an expertly tuned fan curve always cools the components of the PSU at just the right temperature. The full suite of protection circuits (OCP, OVP, UVP, OPP, OTP and SCP) is also included. The black cables of the SFX L Power are detachable. Since SFX-L power supplies are typically used in compact PCs, users benefit from the SFX L Power’s cable design that lessens the clutter created by unused cables. The flat cable profile makes sure cables are stashed conveniently and are not obstructing airflow inside the chassis. Also, SFX L Power comes with four PCI express connectors for multi-GPU support. SFX L Power is available now, either 500W for a recommended price of €109 / $119 / £95, or 600W for €129 / $145 / £115.